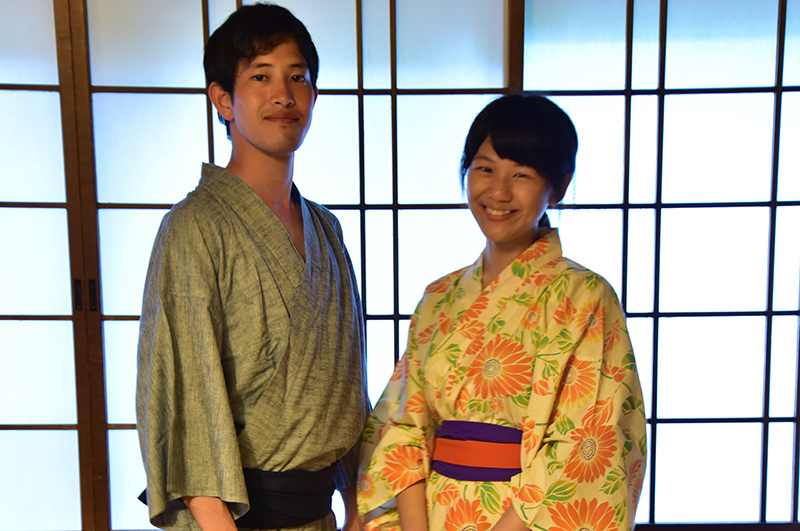 An onsen inn located in the center area of Kurokawa, where you can enjoy the different hot spring baths inside. 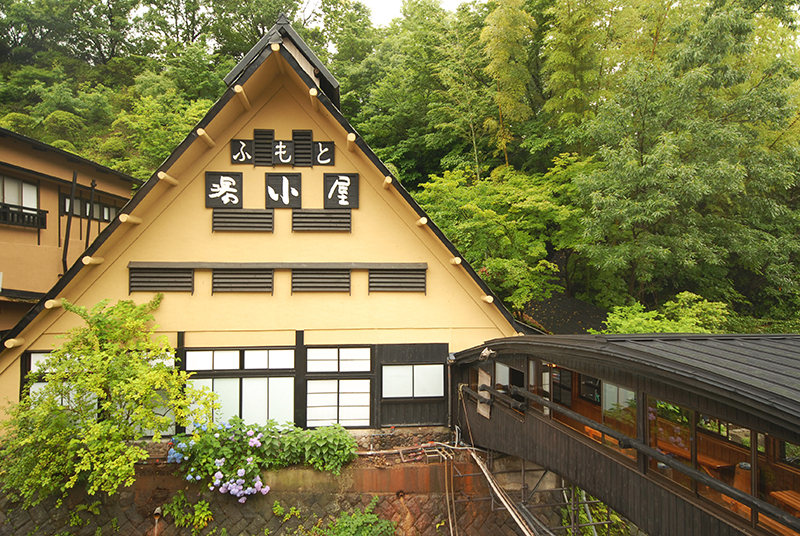 An onsen inn located in the center area of Kurokawa, Kumamoto Province, Kyushu, where you can enjoy the different hot spring baths inside. 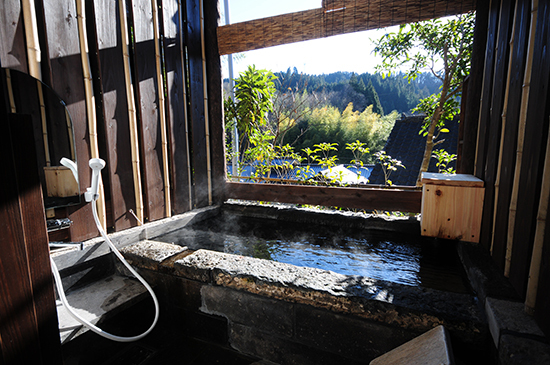 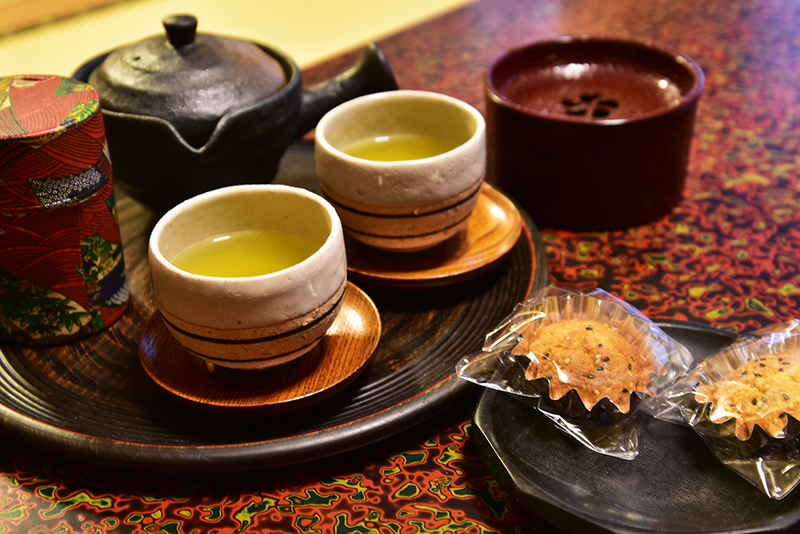 A rich variety of private onsen and open-air onsen with 100% genuine freshly sourced hot spring water. 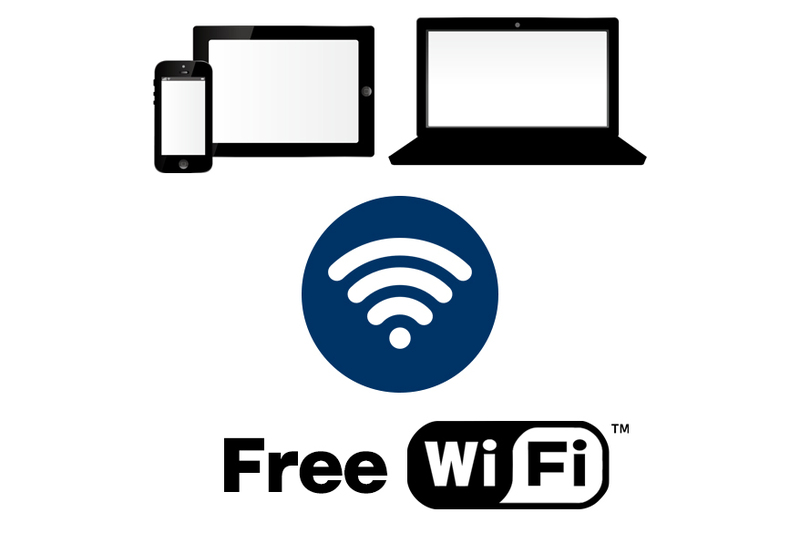 With a comfortable lodging fee allows guests to fully enjoy their stay, this inn is supported by guests coming from outside of as well. 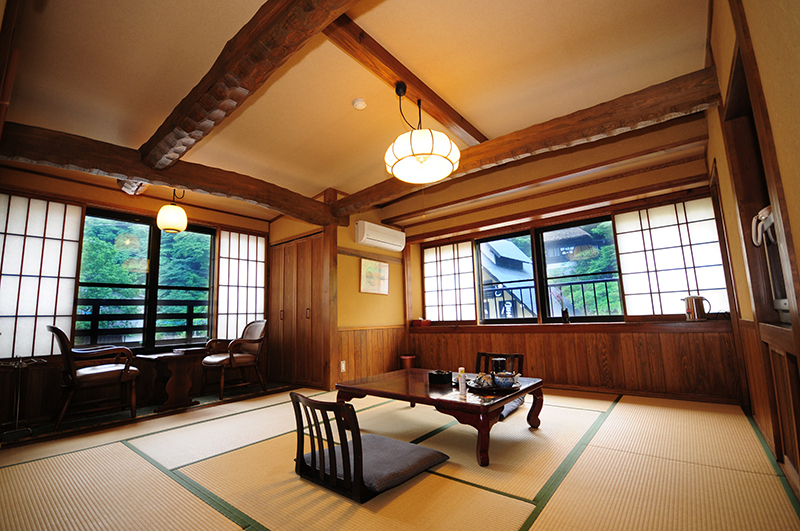 The pure Japanese-style buildings match the onsen street well, and have an elegant atmosphere about them. 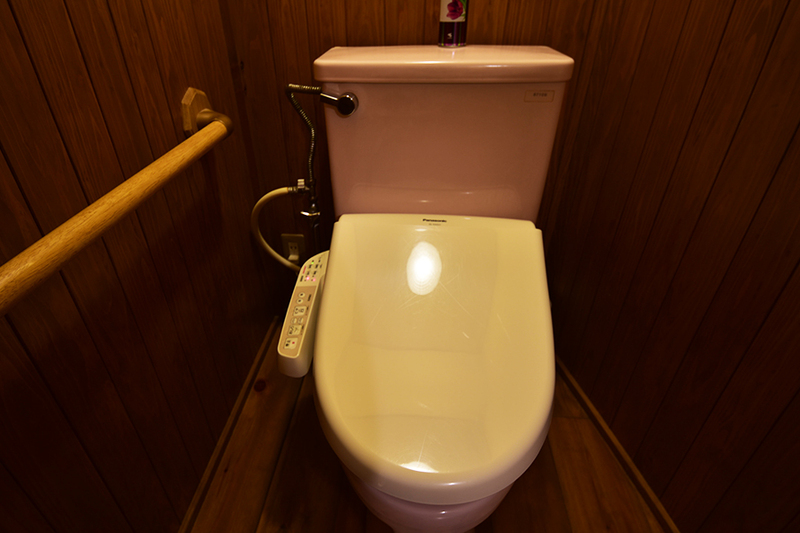 There are 9 private baths that only our guests staying with us can use. 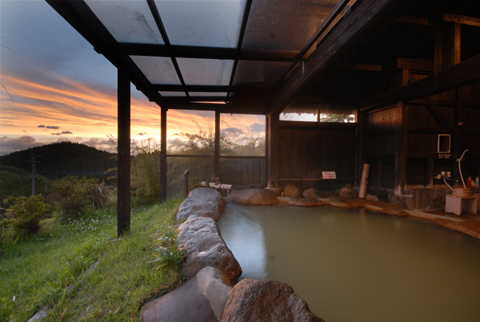 It’s free to move through and try the different hot spring baths in the inn. 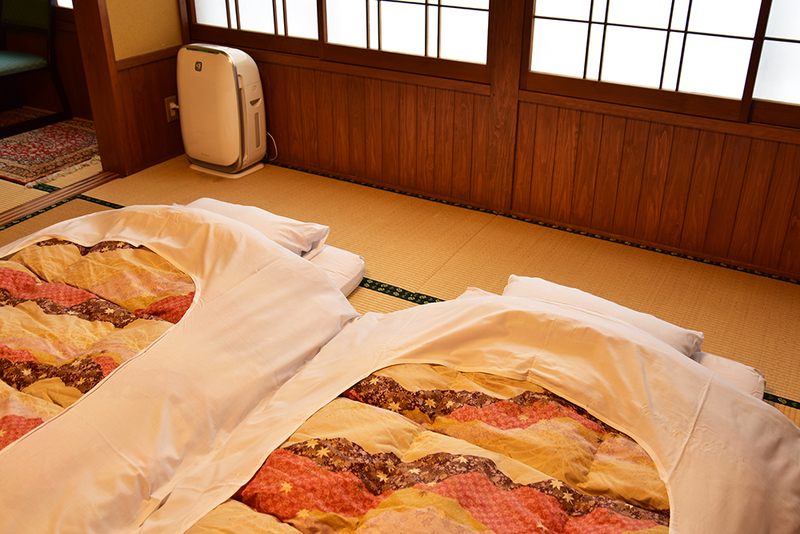 In the annex, there are 3 guest rooms with an open-air onsen. 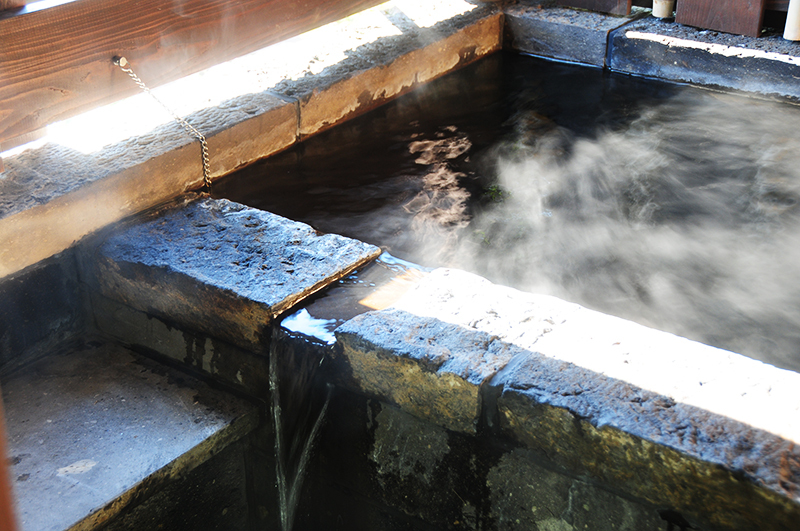 Please enjoy yourself here, at an onsen that uses 100% freshly sourced hot spring water. 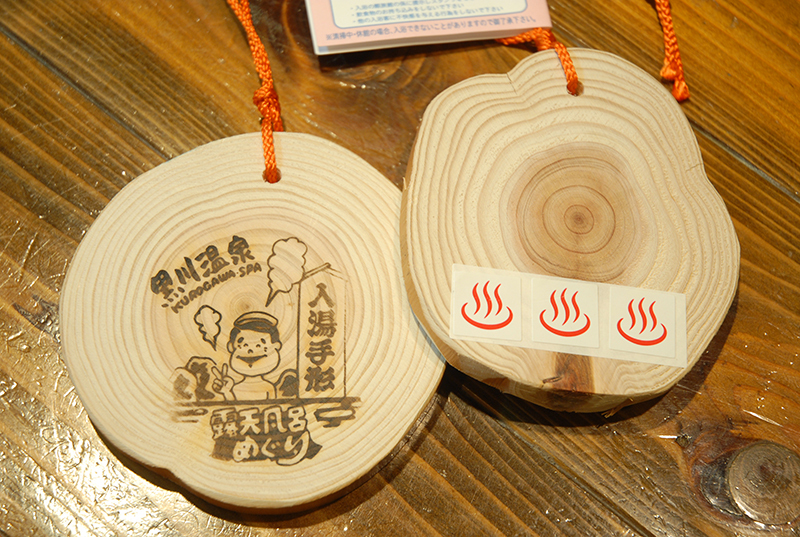 A “Onsen ticket” where guests can bathe in open-air onsen at 3 of their preferred locations in Kurokawa. 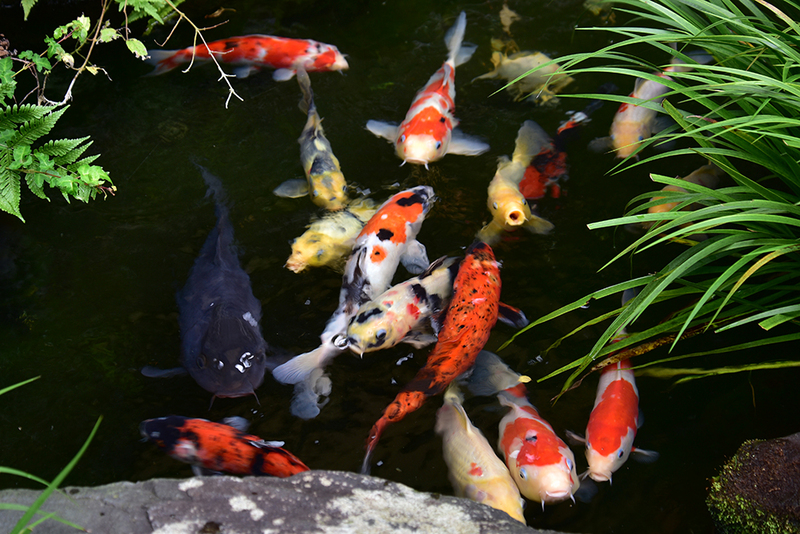 Brocade Carp (Nishiki-goi), improved their color and speckle as aquarium fish. 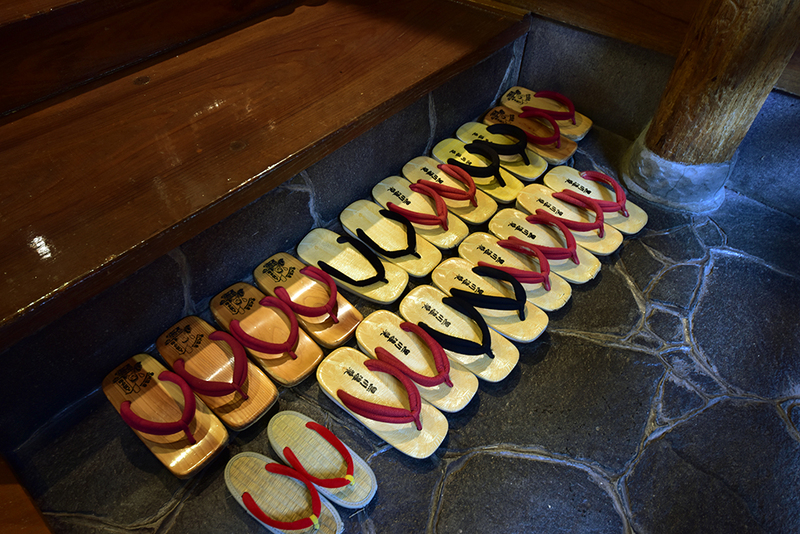 You can see them in front of the entrance. 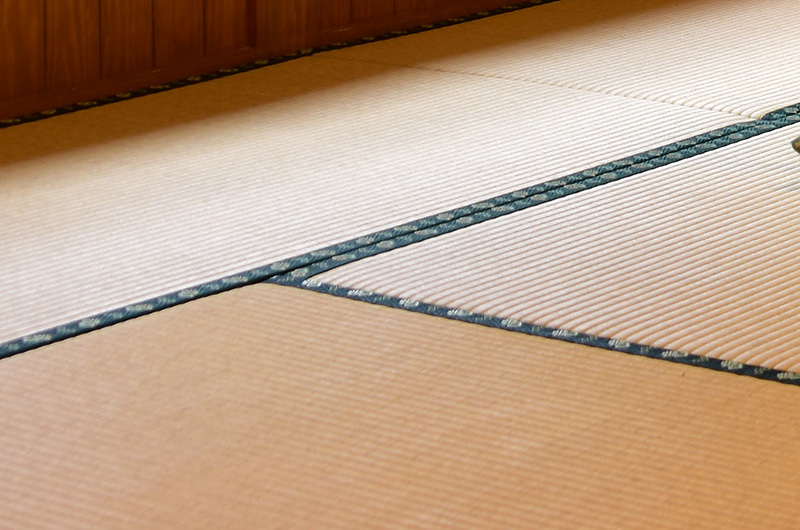 A tatami is a mat used to cover the floor in a Japanese style room. 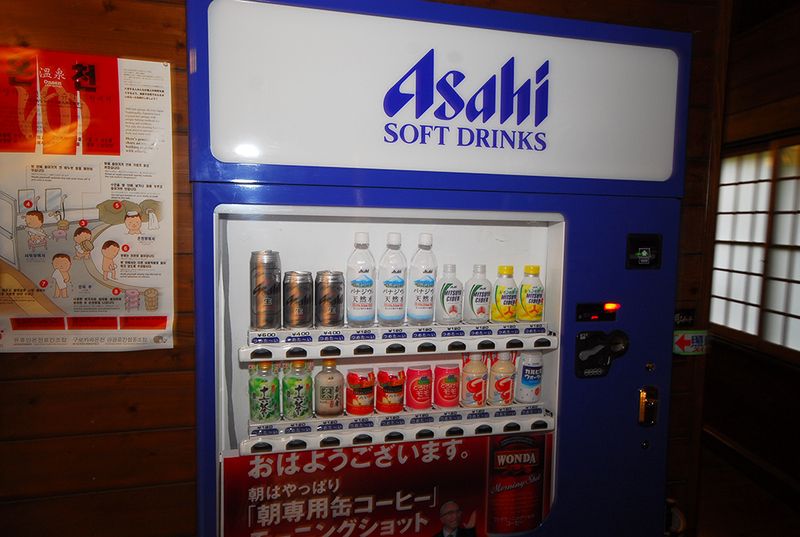 A machine that gives out drinks you desired when coins or notes are inserted.